The Provisor Group of Cape Coral, FL, once again demonstrates their commitment to operate as Agents of Change in their community by collaborating with Friends and Neighbors of the Cape to introduce a fundraising campaign for a seven-year-old local boy battling leukemia. This is exactly why we created our Community Program – to come to the aid of local people going through their toughest times. We hope everyone will rally around Corbin and his journey to good health. The Provisor Group reveals another remarkable charity campaign in its efforts to support local families with a community enrichment program serving families of the greater Cape Coral area. The latest initiative partners with Friends and Neighbors of the Cape to support Corbin Jensen, a seven year old boy who is battling leukemia. Donations from the compassionate community are now being accepted at: http://theprovisorgroup.com/Lets-Help-Corvin-Fight-Against-Leukemia_18_community_cause. 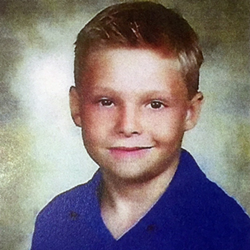 Corbin Jensen is a local second grader who has recently been diagnosed with leukemia. Corbin’s dad faces tough times ahead, balancing responsibilities as a single father and sole support of three boys, with work responsibilities, and now with Corbin’s current needs. Ongoing medical expenses will place additional stress on the young family, and they are in need of assistance. Enter Friends and Neighbors of the Cape, who recently held a fundraiser for Corbin. Friends and Neighbors of the Cape is a local grassroots organization which has made it their mission to help area families in need – from serving meals to the homeless on Thanksgiving, to fundraising events for specific needs. The caring team at The Provisor Group is hard at work mobilizing social media and an email awareness campaign to promote the initiative, as well as featuring it in their monthly magazine, which is delivered to thousands of households in Cape Coral and surrounding communities. Our Hometown magazine has dedicated a full page to Corbin’s cause, and will acknowledge all who donate a minimum of $5 in a future issue. The electronic Flipbook version of the current issue of Our Hometown may be viewed here: http://theprovisorgroup.com/Our-Hometown-Magazine_42. To help achieve their established goal of $500, the agency itself has pledged to donate $10 for each and every recommendation they receive for an insurance quote, with no purchase necessary, making it simple for everyone to help. To view the campaign, recommend a friend or make a personal donation, readers may visit: http://theprovisorgroup.com/Lets-Help-Corvin-Fight-Against-Leukemia_18_community_cause. The Provisor Group has committed to select a new local group, family or individual in need to support every two months. They invite concerned community members to submit ideas for future campaigns here: http://theprovisorgroup.com/Submit-A-Community-Cause-Idea_49. Information on past initiatives may be found at: http://theprovisorgroup.com/community-cause. To learn more about the agency, please visit: http://theprovisorgroup.com/. The Provisor Group is a full service insurance and financial advisory firm which serves families from offices in Cape Coral, FL. Understanding the importance of building a solid foundation for the future, Edwin Pickett and his dedicated team of professionals have one simple mission: to offer the finest insurance and financial products in the industry, while providing consistently superior service. Their focus is on helping families protect the things which are most important to them (their families, homes, cars and more), while developing strategies to achieve long-term financial goals. The caring experts at The Provisor Group may be reached by calling 239-542-1117.